Ms Laing assists couples and families affected by genetic disorders, helping explain and make sense of the genetic and medical aspects of different genetic conditions, performing risk assessments for individuals and families, and helping people adjust to the diagnosis or risk of genetic conditions. 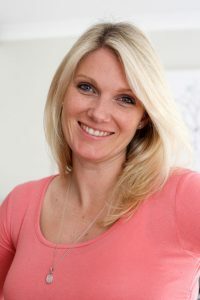 After completing her undergraduate degree at Stellenbosch University, Ms Laing completed her postgraduate studies in the Division of Human Genetics at the University of Cape Town. She completed her Masters in Genetic Counselling in 2011, and spent the following two years completing her internship working at general genetic clinics, pregnancy counselling clinics, as well as conducting retinal degeneration and cardiac research. She currently works part-time in the Division of Human Genetics in the Department of Medicine at Groote Schuur Hospital. She assists infertility patients who may want to consider testing in respect of future pregnancies, or before conception via IVF. She can discuss options in-depth with individuals or couples.